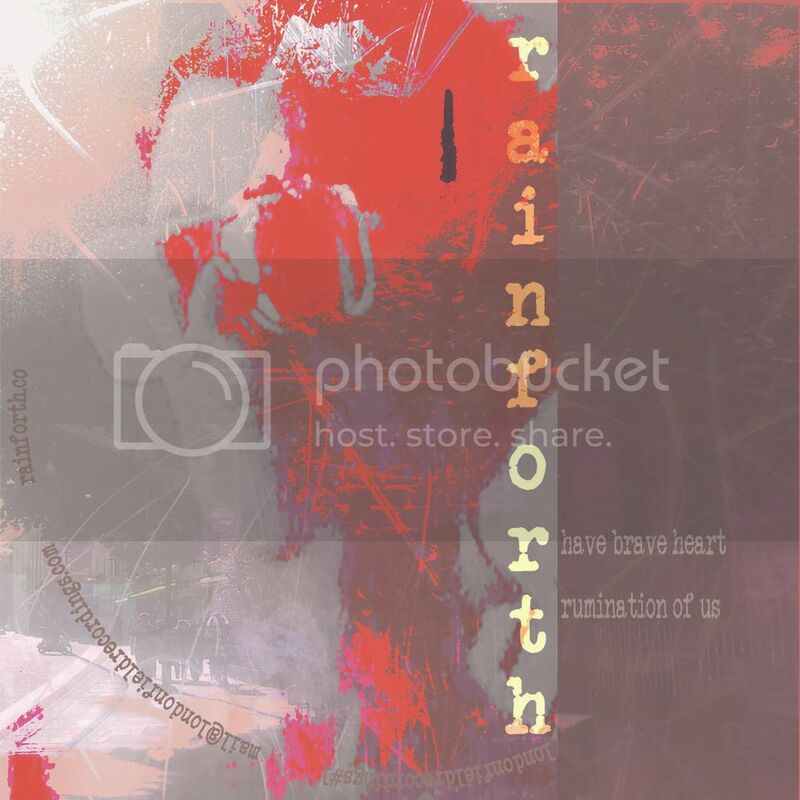 Rainforth's first tracks for official release on her own label, London Field Recordings, on May 1st 2015 are Rumination of Us and Have Brave Heart as a limited edition colour face CD single packaged in a recycled card wallet, or as digital download – the CD and download are available for order/purchase from this web-site - the CD can be ordered now for delivery from 1.5.15, the download will be available on 1.5.1.5 for purchase. The tracks are devised and constructed solely by Rainforth in and around her east London home studio, post-produced by Rainforth and Dave McEwen, and mastered by Noel Summerville. Watch the video for Rumination of Us here.